Storytelling is imperative to any creative work and when it’s done well, it tends to stick for generations and generations, almost becoming a story in itself. 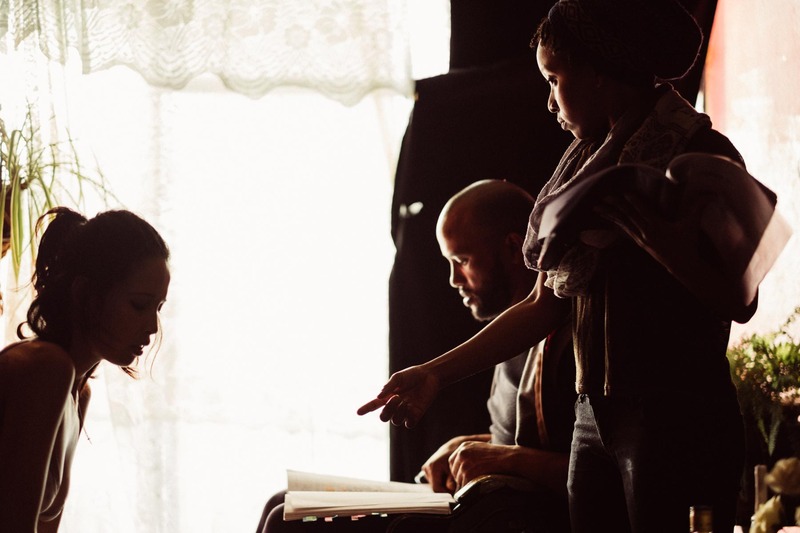 Storytelling is at the heart of Nosipho Dumisa’s debut feature, Nommer 37 and it looks like it’s going to stick. 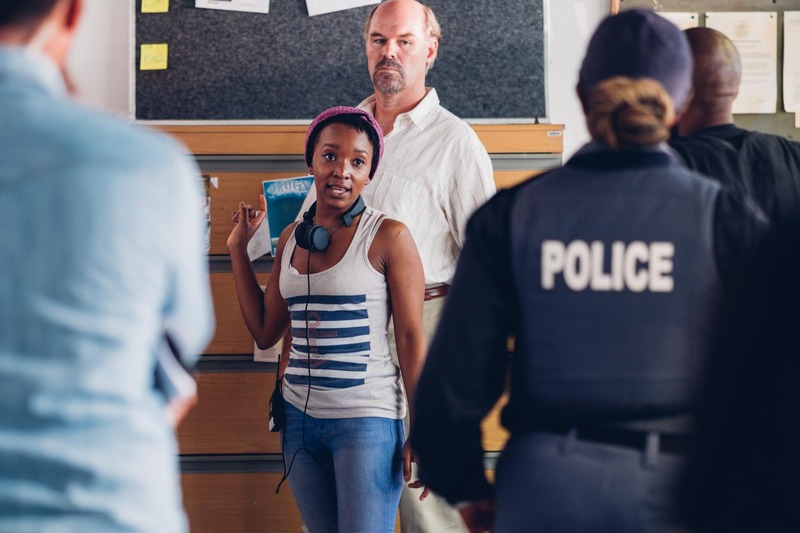 Born and bred in KwaZulu-Natal, filmmaker Nosipho is riding high on a tide of success since her SAFTA award-winning short film, Nommer 37, which has now been turned into a feature film. As an aspiring filmmaker myself, looking at the success achieved by Nosipho is so inspiring and I almost lost my mind when she agreed to be this months MOXIE Chats feature. Michel’le Donnelly: Firstly, congratulations on all your much deserved recent success with your film Nommer 37! You must be so happy about it all? Nosipho Dumisa: Hi Michel’le, of course I am. It’s been a long journey, not just for me, but for all of us at Gambit Films and its extended film family. MD: We keep seeing the phrase ‘Dala wat jy Moet’ being promoted with the film (which I love, btw) what is Nommer 37 about? ND: Ah yes, the phrase is commonly used in Cape Town and in the context of our film it’s really about doing whatever you have to do, in order to survive. Nommer 37 is a story set in a fictional area within the Cape Flats, wherein Randal Hendricks (Irshaad Ally), an embittered recent paraplegic, heavily indebted to a sadistic loan shark, and his devoted girlfriend, Pam (Monique Rockman), find themselves in a dangerous cat-and-mouse game when Randal blackmails his murderous neighbour, Lawyer (David Manuel), after witnessing him commit a crime through a set of binoculars. MD: Can you talk about the process of how it went from being a short film to feature length? ND: Turning a beloved short film into a feature film can be quite daunting. I wanted to give the audience who had seen the short film something new and unexpected, and yet I wanted to honour the strong structure that was already laid out in the short film. I introduced new characters and sub plots and then really wanted to focus on building a complex and authentic relationship between Pam and Randal. The story is really about their love and how far they will go for one another, and therefore we had to be fully invested in them. MD: There has been a lot of media attention given to the fact that you’re a Zulu woman from Durban who has made a film about the Cape Flats in Afrikaans, why do you think people are so interested in this and what inspired you to tell this particular story? ND: Well I suppose it’s just unexpected really. I certainly wouldn’t have imagined that my first feature film would have been in Afrikaans. A lot of this was by the hand of God, I believe. Before making the short film, I was actually writing a political thriller that was intended to be my debut feature film. It was coming along slowly but well enough, when the Silwerskermfees approached us (Gambit Films) to submit a concept for their short film competition. They wanted new voices to be a part of the festival and as Gambit Films, we wanted an opportunity to prove ourselves as filmmakers. All of our ideas were too big for a short film and then we remembered an idea that my colleague, Daryne Joshua, had for adapting Alfred Hitchcock’s Rear Window to the Cape Flats. As a team, we worked on the short film’s story and as events played out, I ended up co-writing and co-directing the short film. This is when I fell in love with the story and knew that I had to be the one to make the feature. I connect with Randal’s forced observation of the world around him and his sense of being stuck or trapped, wanting something more. In a way, I am an outsider to this world and I was able to place myself in Randal’s shoes. At the same time, I knew that I wanted to make Pam far stronger as a woman than she had been in the short film. She was inspired by many women in my life. MD: I love what you said in a 702 interview about how “story itself is a language”, could you elaborate on that point? ND: Telling stories in film is a gift that transcends words, elevating them to emotion. Story makes us feel something and that feeling becomes the language that guides us through the narrative. It’s like when silent movies existed many years ago – words were unnecessary to create emotion and story. The words only came later as an added layer. So, when the story is solid and the characters believable, the audience will engage and the words will be understood purely because they are invested not in what words are spoken, but in the journey being taken. MD: Now Nommer 37 has been hailed by critics and viewers, plus it’s premiered at international festivals like SXSW (the first South African film to do so), why do you think the film is resonating with so many people? ND: It’s a universal story, told in a setting people have not seen before. Any time you deal with matters of survival or life and death, human beings will connect at a primal level. But I also believe that the story has so many layers that deal with real issues that we share in the world – greed, corruption, love, sacrifice etc. – all of these are packaged in a genre that most people are familiar with. I’ve always loved a well told thriller! MD: Going back to Nosipho before Nommer 37, how did you decide that filmmaking was the career for you? ND: Again, this was the work of God. If you had asked me what I would be one day, in Grade 11, I would have told you that I was going to be a doctor. In grade 12, I would have told you that I was going to be an actress (much to my mother’s dismay). That switch only happened due to a persistent drama teacher who came to our school and intentionally took an interest in some of us. She transformed drama from merely being a subject, to being something we aspired to be a part of. She exposed us small town kids to the film and TV industry by taking us to schools like AFDA and bringing people from the industry to come and speak with us. As I said, I believed I would be an actress. I loved storytelling and performance and had never seen any female directors. But a mistake (or God’s handy work) in my application at film school saw me placed in the Motion Picture Medium stream and eventually, majoring in directing, writing and producing. I discovered my talent and passion for these through my years at film school and haven’t looked back since. MD: Do you remember the first film you write? What was it about? ND: Oh it was so silly! It was a silent short film I did as an assignment at school about a young high school girl who won’t sleep with her boyfriend so he cheats on her or something to that effect. I think it was called Virgin Mary. How embarrassing! ND: I am greatly attracted to working in genre, particularly thrillers, political thrillers, courtroom dramas, and the dystopian narrative. I am fascinated by stories of survival in any circumstances; watching an underdog fight for his or her place in life; fight against injustice etc. I love that in genre I get to deal with uncomfortable themes and societal issues within a package that feels like entertainment. MD: On the whole, what does the South African film industry look like for women of colour? ND: I would be lying if I said that it’s not tough. I walk around many sets and I see some men of colour in high positions and at times I see caucasian women in high positions. 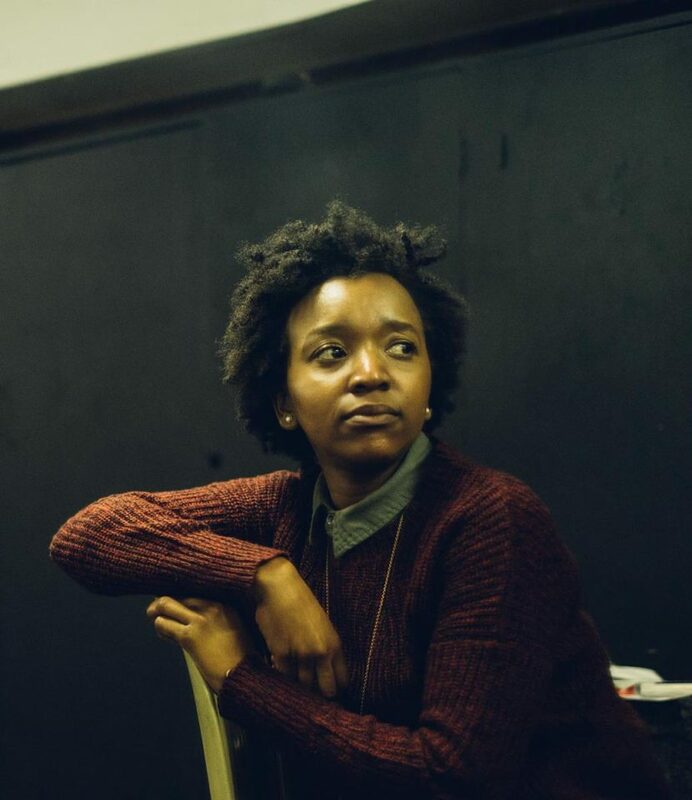 I’ve certainly seen quite a few caucasian women as directors (though not nearly enough) but until this year, I knew no other black female feature film director working in the narrative space. This year I learned about Lineo Sekeleoane. I worked with a brilliant make-pp HOD in Babalwa Carol Djieutcheu, but struggled to find other HODs who were women of colour. Many are stuck in assistant positions for far too long. I was fortunate in that I started my own company early on, thus I was able to forge my own path. Change is coming, but at times I wonder if it’s not too slow. MD: It can definitely speed up. You not only wrote Nommer 37 but you also directed it, which do you prefer – writing or directing? And what challenges did you face in both roles? ND: I can’t make that choice! Writing is where everything begins and when I write, I am already directing the scene in my mind, I’ve envisioned every moment. But writing can be an excruciatingly lonely experience. In directing, I love the surprises that come once castings begin. Working with an actor who brings your material to life in an unexpected way is so exciting. Working with creatives who bring layers to the visual style and then taking the film all the way through post-production, is one of the most intoxicating experiences. But in that, there can be great loneliness as well because there is always an expectation for you to have all of the answers. MD: Obviously you’re enjoying all the worthy success of Nommer 37, but do you have any other projects in the works that we should be looking out for? ND: As Gambit Films, we are working on an exciting action thriller by my colleague, Travis Taute. We’re going into production in a few months and it will be Travis’s debut feature film. I am in early development with several other projects and am trying to have the discipline not to rush into the next thing. I want to be sure that the next story I tell, is important to me. MD: So, MOXIE aims to be a platform for WOC creatives to get their work out there, do you have any advice for young black women who are looking to make films but don’t believe anyone wants to see their story? ND: Don’t believe the lie, what you have to say matters. You must know what your truth is and believe that the world will receive it if you make it. That’s something I had to learn over the process of making Nommer 37. MD: Thank you so much for taking time out to speak with us and congratulations again on all your success and future successes, we’re excited for the many Nosipho Dumisa films to come!